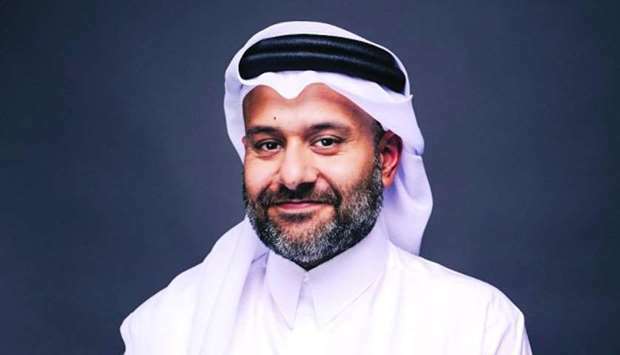 Qatar Financial Centre (QFC) chief executive Yousuf Mohamed al-Jaida said "this economic initiative will bring us close to our regional partners, and will connect our businesses, which in turn, will increase the flow of FDI and create new opportunities across all sectors." Highlighting that total FDI (foreign direct investment) from NEBI countries was estimated at more than $150bn in 2016, Qatar Financial Centre (QFC) chief executive Yousuf Mohamed al-Jaida said "this economic initiative will bring us close to our regional partners, and will connect our businesses, which in turn, will increase the flow of FDI and create new opportunities across all sectors." The new initiative has been necessitated by the unjust economic blockade by Saudi Arabia-led quartet, he said, unveiling its strategic vision for 2022. "This strategy came about because of the geopolitical situation," al-Jaida said, adding the QFC scouted for opportunities where there is already government-to-government relations have been stronger. NEBI aims to position Qatar as the most promising hub for firms to set up to operate in and out of Qatar via key strategic alliances. In the current geopolitical environment, Qatar can emerge as an alternative hub. "Our strategy will also include an emphasis on new emerging markets such as Kuwait, Oman, Turkey, Pakistan, India, as well as several others," he said, adding collectively, these markets are worth $2.1tn, with Qatar and the QFC well positioned to serve as a gateway to these lucrative and fast-growing economies. "We are confident that by focusing on these sectors and markets, the QFC can continue to support the growth and diversification of the economy," according to him. Companies operating in QFC need to look beyond Qatar and QFC has in the last 10 years had focused more on the local economy and "we believe that some very interesting G-to-G relations have been formed between Qatar and the neighbouring countries as Kuwait, Oman, Turkey and Pakistan, which is a strategic market because of the proximity. “We believe these can be target markets for companies wishing to do regional activities out of QFC,” he said. Thanks to its central geographic location and robust economy, Qatar is already an attractive international business hub, with 20 business councils registered on the QFC’s platform from countries around the world as Canada, Nigeria, Singapore, Spain, India and many others, al-Jaida added.